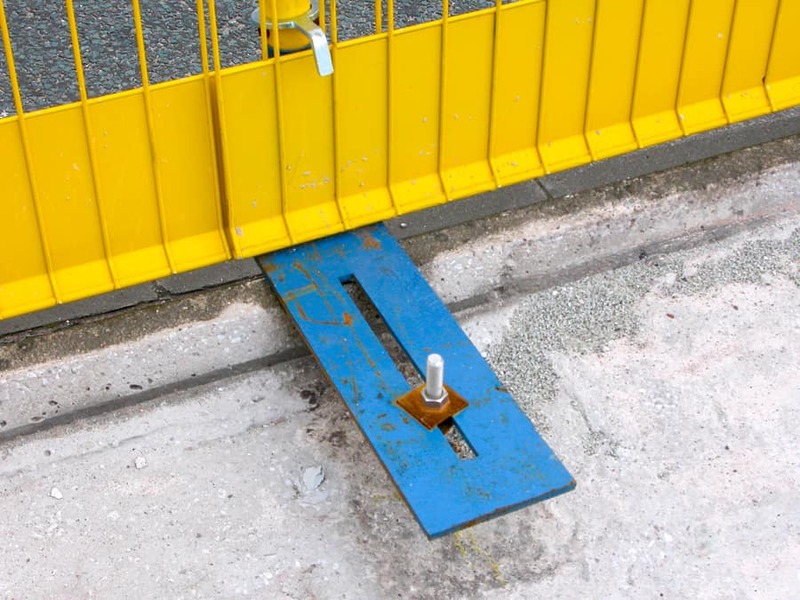 A clamped temporary edge protection system is an effective method of providing collective protection to a workforce when it is impractical to anchor into the structure. 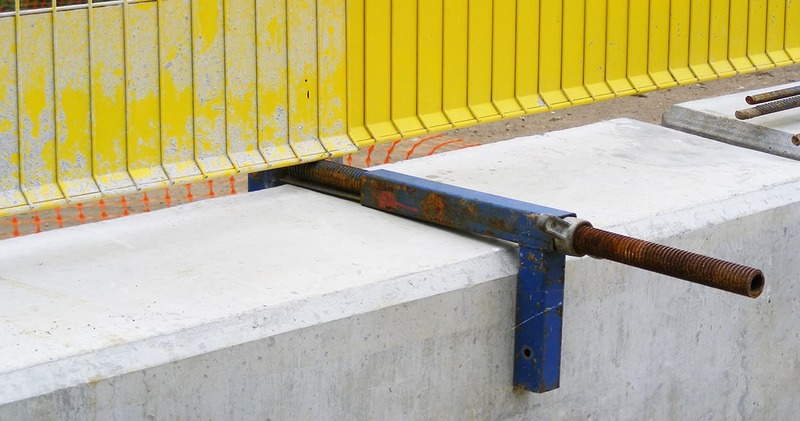 In horizontal configuration, J-SAFE -J1 &J2 Adjustable Clamps are commonly used to protect workers from fall over leading edges of Walls, Tanks, Bridge Parapet Upstands and Precast Beams. Adjustable Clamps are available in two sizes suitable to the application and working space around the clamped area of the structure and are delivered in the correct configuration for the closed distance to reduce site erection time. 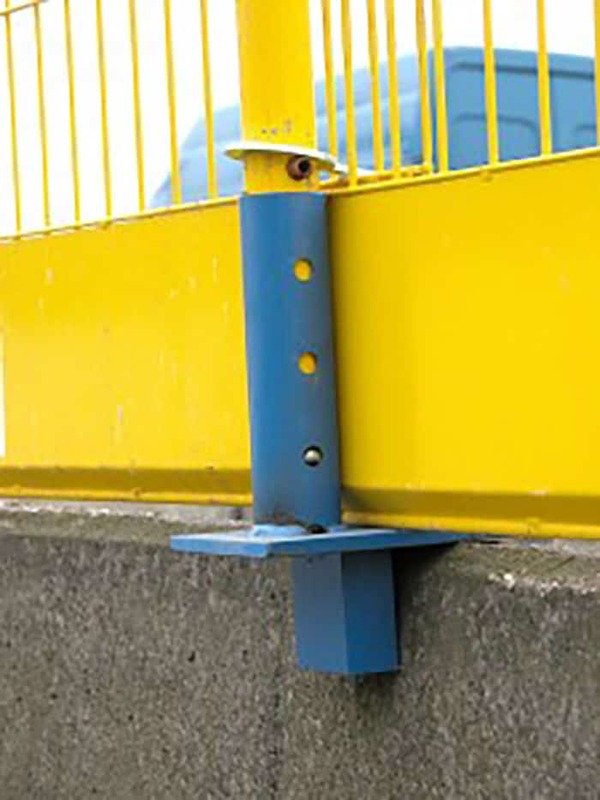 Posts are inserted into the clamp which hold Steel Mesh Barriers with fixed Toe-Boards. Adjustable Clamps are straightforward to assemble using only a hammer to tighten the collared nut. Instruction guides are included with equipment, instructional movies are available on request and specialist training is available. BSEN 13374 Class A Compliant. Size range for J-SAFE Adjustable Clamps. 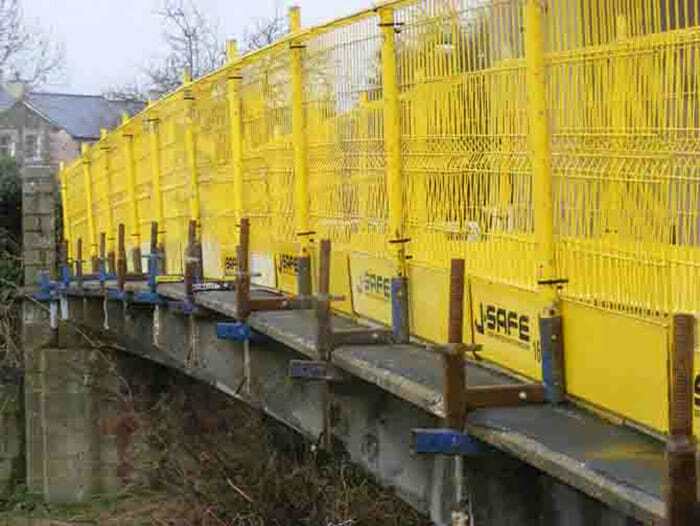 In vertical configuration, J-SAFE -J1 & J2 Adjustable Clamps are commonly used to protect workers from fall over leading edges of bridge beams, slab edges and Precast beams. 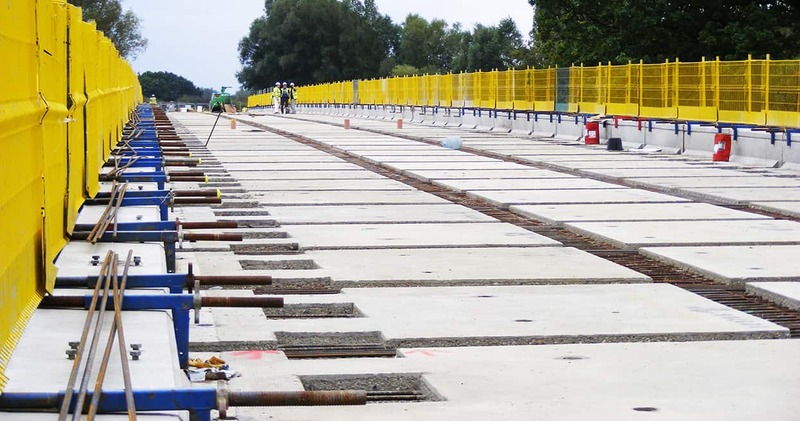 Refurbishment and upgrading of bridges over motorways including the replacement of guardrails requires a Temporary Edge Protection System that reduces the potential for the operatives to fall from the structure. The J-SAFE parapet plate has been designed to install underneath existing parapet guardrails positioning the anchorage into the concrete deck. anchor positioning is variable, the parapet plate has a long slot so that features and rebar can be avoided. 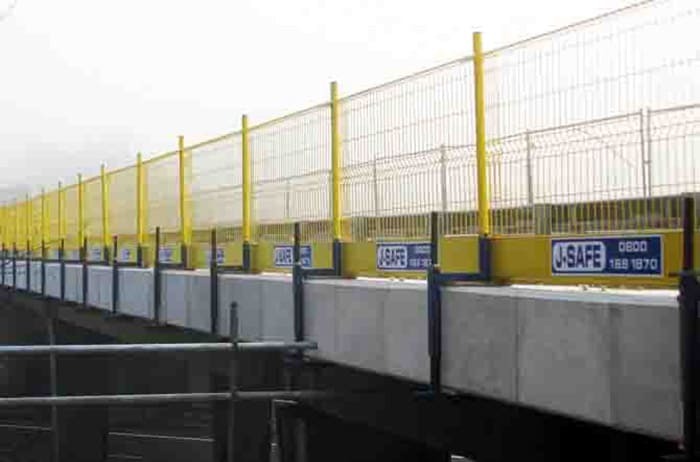 When anchored into position, J-SAFE posts and barriers are fitted into the parapet plates, again using the existing bridge parapet guardrails to protect the installer. The installation work takes place behind guardrails throughout and installers operate without the need for personal protection. 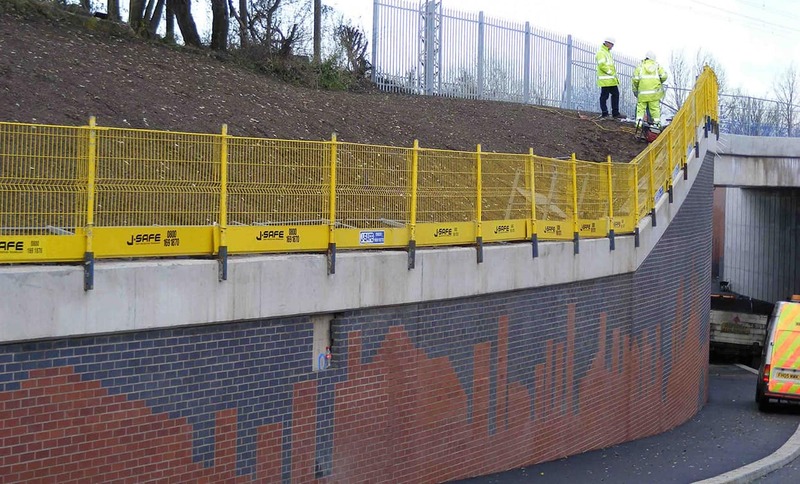 When the J-SAFE Temporary Edge Protection System is in place, the bridge guardrail can be removed for refurbishment or replacement. The re-instalation of the permanent guardrail and removal of the J-SAFE Temporary Guardrail follows the installation sequence in reverse. 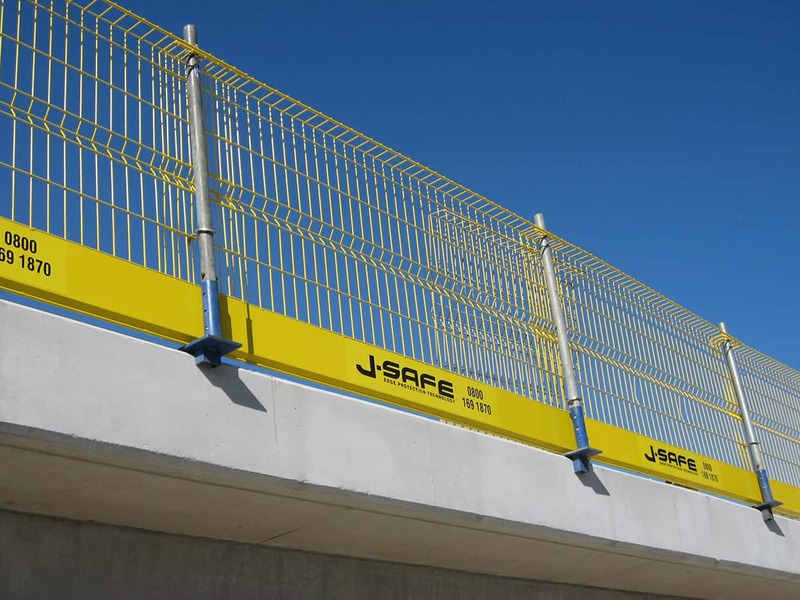 The J-SAFE system is installed at maximum 2400 centres, with the benefit of adaptability to the shape of the structures or need to avoid permanent guardrail post positions because the barriers overlap anywhere along their length. 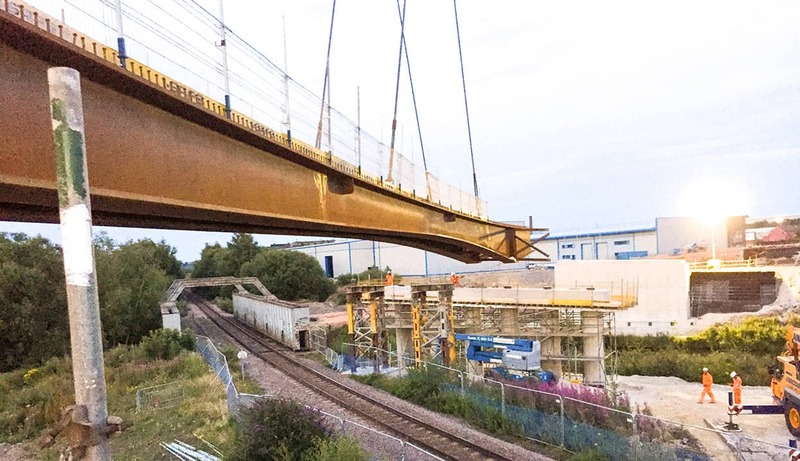 A steel composite bridge consists of long steel sections spanning between columns and abutments which are progressively loaded with pre cast concrete slabs forming the deck. The fall protection is fixed to the steel beams using shear studs as the attachment point, providing edge protection to those placing the pre cast sections. The edge protection is moved from beam to beam as work progresses. J-SAFE Shear Stud Socket’s are placed at 2.4 metre maximum spacings along the length of the beam, into which are inserted posts to support Mesh barriers. J-SAFE reduces the potential for the operatives to fall from the structure.